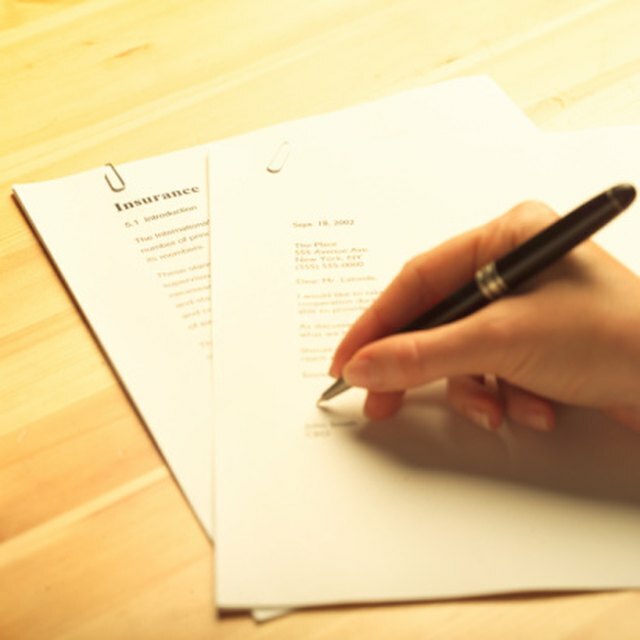 What Is a Short Application Cover Letter? When you apply for a job it's important to make a strong first impression that generates interest and helps you stand out from a large field of candidates. One way to establish yourself is in an application cover letter, which is a short document that you attach to a formal application. A short application cover letter is a document attached to a job application or resume. It is a single page with text on only one side. The text should not fill the entire page, resulting in a letter that a reader can get through quickly. Cover letters are not standard forms that you can use for every application Instead they include specific information about the position you're applying for and your skills and abilities. There is no single accepted format for cover letters, though common templates use many of the same formatting guidelines. A standard short application cover letter begins with your contact information, including name, email address and phone number, in the top right corner. The date usually appears below your information, followed by the name and address of the person you're sending your application to. This may be a specific person with whom you've spoken about a job opening, or a more general business address. The body of the letter takes up the majority of the space and is followed by a closing, with your name and signature, as well as a note that lists the number of attached documents, or enclosures. A cover letter should include several different types of content to give you the best chance of impressing a prospective employer. If your application references a specific job opening, you can use a subject line to list the job reference ID number or name. The body of your letter should provide a friendly introduction, state the job you're applying for and list one of two reasons why you would make an excellent candidate for the position. A short cover letter should close by stating your willingness to attend an interview or perform a phone interview. A short application cover letter is your chance to make a personal impression and include information that isn't contained in the resume that you attach it to. For example, if you're applying for a job because someone you know who works for the business made you aware of the opening, mention that person in the letter to indicate your reason for applying. If you have specific experience that makes you well suited for the job, include a reference to your resume where a reader can go for more information about your qualifications.